N0HYD - QRP & Portable Adventures! : CW Op's Mini-CWT Contest - Results! CW Op's Mini-CWT Contest - Results! Every Wednesday the CW Operators Club has a mini contest called the MINI-CWT. It runs for one hour - 10:00 pm to 11:00 pm local time here in Kansas. This time works great for me - kids are in bed, and house chores are complete! This is the second time I have operated this contest and I had a blast. Conditions on 20 meters were awful here - I didn't hear one signal on the band except some digital signals. So I immediately went to 40 meters and stayed there for the duration. All told I worked 20 stations, for a score of 400 points- all stateside with one except being Canada. I was really happy with this result! When I worked the June contest I only worked 6 stations for a total score of 36 points, so I greatly improved tonight! 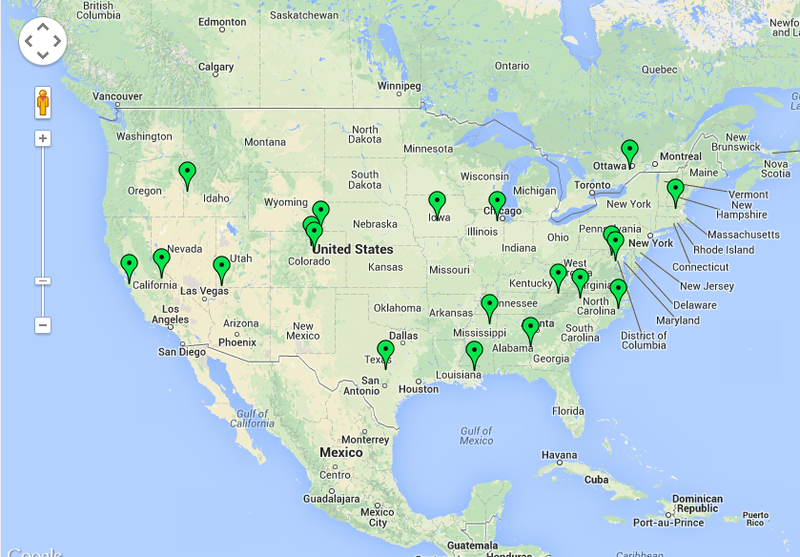 You can see a map of the locations of the stations I worked during the contest last night. I created this using a site that I found that is really cool. It is QSOMap.org - and it lets you upload an ADIF file and it maps the locations. I really enjoy working contests. Running QRP it gives you the opportunity to work some really good operators that also have excellent antennas. Everyone I called last night, I worked! Thanks to all the ops that pulled my signal out - you made it a fun night! Also be sure and check out my N0HYD YouTube Channel! Hi, will you do me a favour? I would very much appreciate a permanent link on your blog-site.